Wishing everyone a fantastic Christmas, wherever you may be spending it. Great to hear from you Bryan. Hope you and Sally have an enjoyable Christmas too. Merry Christmas to you both! Enjoy your luxurious hotel over Xmas, look forward to hearing more about your travels in the new year. Same to you two. I hope you’ve got yourselves somewhere warm and festive for Xmas day. Nobody should spend Xmas Day in a tent with a Yeti! Thanks. Keep it steady Eddie. 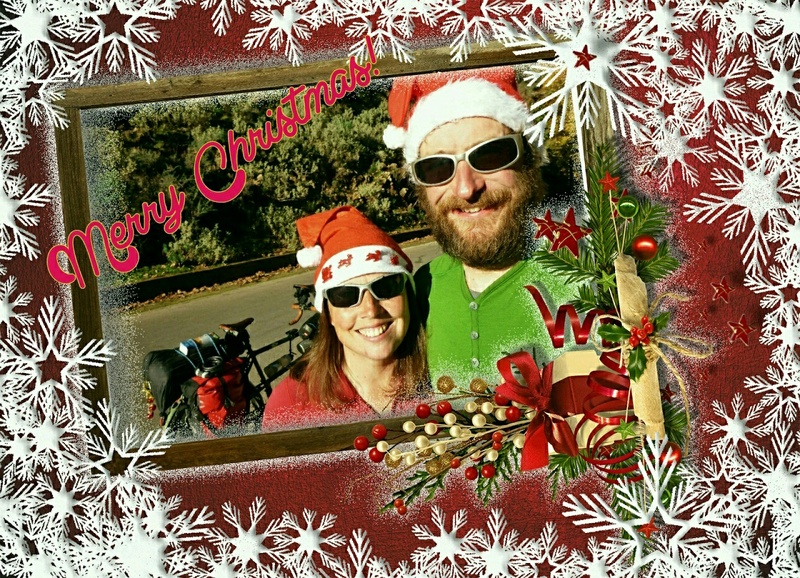 Merry Christmas and have a great New Year where ever your travels take you. Merry Christmas & Happy New Year to you! Keep pedalling in the same rhythm!